Phil and Amy Parham, authors of The 90-Day Fitness Challenge and The 90-Day Fitness Challenge DVD, were contestants on Season 6 of NBC’s The Biggest Loser. Over a seven-month period, they recorded the highest percentage of weight loss of any couple in the program’s history. Married for more than 20 years, Phil and Amy live in South Carolina with their three boys, Austin, Pearson, and Rhett. 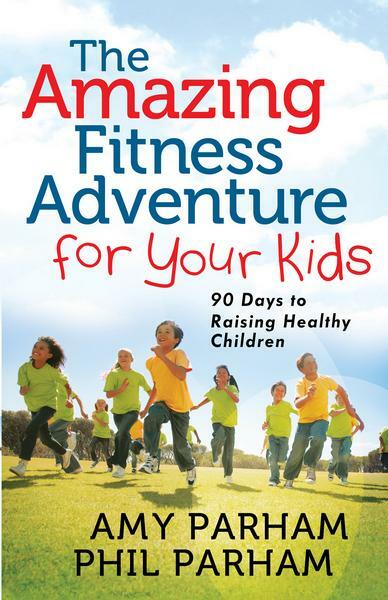 The Amazing Fitness Adventure for Your Kids equips parents with the tools they need to help their children become healthier and happier. It’s also an inspirational guide to the ultimate rewards that come from sharing a healthy lifestyle together—stronger and healthier kids and more closely knit families. At the time we were chosen as contestants for The Biggest Loser, Austin was 12 years old, Pearson was 10, and Rhett was 8. Trust me, it wasn’t easy to leave them for three months. Phillip and I gave a lot of thought to the impact our departure would have on them before we even considered trying out for the show. Although we competed to better our health, we knew that in doing so, we would better the physical, emotional, and even spiritual health of our family as a whole. Ultimately, in many ways, we did the show for our kids. Phillip’s sister, Joan, was a major influence in persuading us to try out for The Biggest Loser, and she even offered to watch our boys during the time we were away. If it weren’t for her, we probably would have never even considered undertaking the opportunity. Joan had been concerned about our health for quite some time. She was also a big fan of the show and was the first person who encouraged me to watch it. I was resistant at first because I didn’t know the premise behind it. I initially believed it was a show that made fun of fat people, but I quickly discovered I was wrong. The Biggest Loser isn’t simply a reality TV show where contestants compete against each other to lose weight. I like to think of it as a powerful tool that helps forever change the lives of individuals and families. During our absence, our boys were cared for by Joan and her husband, John, who have three boys similar in age to ours. My children and their family quickly formed a Brady Bunch of sorts. The cousins shared a tight-knit bond, and many wonderful memories were created that my boys still talk about today. We were so fortunate to have Joan and John—as well as my parents, sisters Allyson and Donna, and loving neighbors—who made tremendous personal sacrifices in order for Phillip and me to have the opportunity to transform our lives for the better. While we were gone, I felt incomplete because I missed our boys terribly. You can’t imagine how difficult it was to know that my husband and I wouldn’t be in contact with them for an undetermined amount of time. Our saving grace was knowing our family was taking good care of our children, and they were in the best hands we could have asked for. During the show, Phillip and I were also fortunate to win a particular contest where the prize was a phone call to our boys and a 24-hour visit home to see them. However challenging it was for us to be away from our boys for so long, we knew the reward was greater than the price we were paying. This was a time we had to sacrifice for our family and take care of ourselves so we could become better role models for our kids. Not only that, but we also had to take care of our physical health so we could stick around for them. Phillip and I were morbidly obese, and at the rate we were going, we had some serious health risks. I especially thought of Rhett and his autism and his need for special care. He needed us around for a long time. If Phillip or I had a heart attack or suffered from a life-threatening ailment because of our obesity, what would happen to our boys? Nobody wants to think about those kinds of things, but we had no choice. Phillip and I had to face some hard facts in order to reevaluate our priorities and make positive change. Phillip and I were not the best role models when it came to eating right and exercising regularly, but it was time to change all those bad habits into good ones. And it took time for us apart from our children to get the ball rolling. When we came back from The Biggest Loser ranch, we found that our family was reenergized by the changes we had made in our lives. When we changed, our children wanted to change too. They wanted to follow our example and dream big for their own lives. This meant making changes in their health. There was no doubt that we had to do an about-face with many of the lifestyle habits in our home. The biggest area that needed a major overhaul was nutrition. Our boys got an introductory course in good health when family members took care of them. I believe this prepared them for our return and transformation. Joan and John are excellent parents and provide a great example of what a fit and healthy family should be. While our boys were under their care, Joan kept a close watch on what they ate and limited their snacks. They weren’t used to this in the Parham household. Before our weight-loss experience, we had poor eating habits as a family. We ate fast food almost every day, and our meals outside of the drive-thru were usually processed foods. Convenience always trumped nutritional content. We were (and still are) a busy family on a budget, so it made the most sense to eat fast and cheap. I thought I was doing my kids a favor. At least that’s what the TV commercials led me to believe. I’m sure you’ve seen the advertisements for boxed meals that require only one or two “real” ingredients. They picture a doting mom, happy kids, and a warm meal that took no time to whip up. It was cheap, easy, and tasted great. This was something I could do, I thought. Look at me, I’m a good mom! For most of my life, I bought into this lie hook, line, and sinker. I didn’t realize that providing my children with meals and snacks low in nutrition was negatively affecting their energy levels, mental focus, and overall health. I didn’t realize that not feeding them with foods designed to fuel their body meant they would not function at their best. I didn’t realize that fatty, greasy, and salty foods would not just make them feel bad in the long run, but would increase their chances of getting sick later on. After being on the show, Phillip and I understood how critical it is to teach our kids good nutrition habits and provide a solid framework for good health that will ultimately help them be successful in life. As a working mother, I also carried a lot of guilt for not spending enough time with my sons. One way I soothed my guilt was by giving them sugary or salty treats like cookies, candy, and chips. I worked a lot to help provide financially for my family, and I thought I had to “make it up” to my kids. I wanted to be one of the moms you see on TV who greets her children from school wearing fashionable clothes, sporting perfectly styled hair, and holding out a plate of freshly made chocolate chip cookies that melt in your mouth. I was no such mother. On the days I couldn’t be home when they returned from school, I left them a bag of packaged cookies they could snack on in my absence. You might relate. Do you feel that you’re not giving enough time or energy to your children and ease your guilt by giving them forbidden snacks? If you miss a baseball practice or dance recital, do you make it up by letting your son or daughter eat something they really shouldn’t? Are you so busy doing the million things most of us do that focusing on good nutrition is just not a priority? Do you not even have the time to think about how poor eating habits will affect your children 5, 10, or 20 years from now? Maybe you think of illnesses such as heart disease and diabetes as “grown up” problems. I know I did. I thought my kids had plenty of time before they had to worry about those issues. I figured they needed to grow up first, and then they could pay attention to what they ate and what kind of exercise they got. This is poor thinking. I believe this comes from the mind-set that going on a “diet” is reserved for adults. Now, dieting is not the answer for children or for adults. Dieting denotes something that you go on and come off of. It’s about restricting food and eating in a way that is temporary and can’t be continued for life. We should think about being healthy and fit. We need to permanently change our habits to healthy ones. This applies to adults and children. The truth is, kids who have healthy habits growing up have a better chance of sustaining a healthy lifestyle as they get older. We need to make small changes every day that can add up to a new life. Whether it’s saying yes to natural foods and no to processed foods or going for a walk instead of watching TV, the little things we do accumulate into a future worth having. A future that is healthy and makes you feel good inside and out. A future worth dreaming about. We need to encourage our children that when they are healthy, they gain a better life. They can do more things and they can think more clearly. They will have more energy to be active. They will have better mental focus and get better grades. They will feel stronger and not get sick as much. It’s a win-win situation. Gaining health is a positive process that will help them succeed in whatever they do. It will give them the confidence to live as if the sky is the limit and to know that their dreams are within reach. Our children don’t need poor health to stand in the way of a great life. They need to give their dreams a chance to blossom. They need to be unencumbered from feeling tired, sluggish, or moody—things that come from making poor health choices—in order to dream big. Their ability to “go for it” should never be restricted by their size, physical-fitness level, or because of a negative self-image. Childhood should be a time of dreaming, yet here’s a sobering reality. Childhood obesity has become so prevalent that it has tempered our children’s potential to dream big. This condition has locked them in a prison built with forks and spoons. Poor health prevents them from attempting new things. As a parent, I know this may be a tough pill for you to swallow, especially if you have allowed bad lifestyle choices to rule your home. But don’t be discouraged. This is not the time to question your parenting skills, feel sorry for yourself, or give up. This is a time for change! Today you can commit to creating a healthy lifestyle for your family. Today you can make sure your child’s future is not limited by poor eating or exercising habits. Today you can lead your children in this “Challenge” to become healthier. And today, you can embark on a new adventure to witness your children gain confidence, feel better about themselves, and dream big. When I was a girl, I struggled with weight. I gave up on many dreams because of that battle. Here’s one I’ll never forget. Like most teenage girls, I wanted to be a cheerleader. I remember feeling so out of place during the first tryout because I was the chubbiest girl there. My confidence level hit rock bottom, and I dropped out before I even had the chance to try out. I had many similar experiences. I was always picked last when teams were selected for gym. I never raised my hand in class because I was afraid the other kids would laugh at me. I shied away from any physical activity at school because I was so big and doing the simplest things exhausted me. Because of my weight, my self-esteem suffered. I wasn’t carefree and having fun. I was miserable. I became comfortable with not taking risks and not taking a stab at doing new things; it was safer not to even try. Sadly, this mind-set stayed along for the ride as I grew up and entered adulthood. It was a tough mentality to break, but through losing weight and working on my emotional and mental health, I was able to break free from harmful thinking. And as I like to say, I am not a fat girl anymore; I’m a fit girl. You too have the power to change. You can make better decisions that afford your children the chance to dream big, create a future full of possibilities, and shine. Don’t get wrapped up in the guilt of feeling you haven’t done enough for your children or haven’t helped them make the right choices. Guilt is a wasted emotion. Guilt will keep you emotionally paralyzed so that you won’t do anything to change your circumstances. Guilt will not change a single thing, but here’s the light at the end of the tunnel—taking a step in the right direction will. Decisions pave the way to making dreams come true. Making the right decisions will change the course of your life and the life of your children. When Phillip and I decided to go on The Biggest Loser, we had to move heaven and earth to make it happen. We had to sell our cars and major household items so that my family would have enough money to operate while we were gone. I had to leave my children. I had to endure the physical, emotional, and mental process, which was grueling at times. None of these things were fun or convenient. None of these things were easy. But the payoff was amazing and totally worth it. Former Boy Scout administrator Forest Witcraft once wrote, “A hundred years from now it will not matter what my bank account was, the sort of house I lived in, or the kind of car I drove. 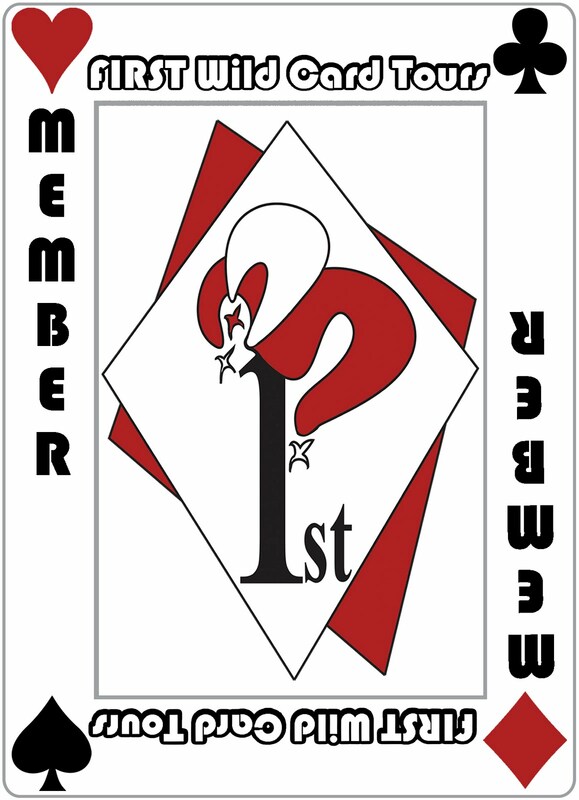 But the world may be different because I was important in the life of a boy.” When I worked as an early childhood director at my church, I printed those words on bookmarks and gave them to all the volunteers who worked with me. The bookmarks were one way I reminded them that their sacrifice would last long after they were gone. As a parent, you need to constantly remind yourself of that same truth. What you sacrifice today when it comes to your children will still be paying off long after you leave this earth. You have the power to affect their future for the better. You have the power to influence what their legacy will be. You have the power to commit to bettering the health of your household. I know you are ready to make this change because you are already reading this book. I am confident you want the best for your children and that you want to see their dreams come true. Yes, sometimes dreaming big dreams requires overcoming big challenges. Don’t worry. We will help you along the way. Believe me, we have had to work our way through many challenges that could have stopped us cold. Our book will equip you with knowledge, tools, and inspiration so you can move any mountains that may stand in your way of creating a healthy home. Think about what dreaming big as a family looks like to you. Maybe it’s as simple as eating better and exercising more. Maybe you want to lose a few pounds to have more energy to play with your daughter. Maybe you want to improve your health because you just got diagnosed with diabetes or another serious disease. Maybe you want to incorporate fitness into your family life and start running 5Ks together. Whatever it is, dreaming big means improving the quality of your family life. And that will guarantee a brighter future. Today, take the first step and commit to making your children’s health a priority so that you can see their dreams come true. It only takes a simple decision to change your life and your future. Walk with us on this journey and let’s dream big together! Dreaming is fun, isn’t it? It is such a big first step in your new adventure of gaining better health. After we dust off our box of hidden dreams, the next critical step is to face some facts. And some of them might not be pretty. Why do I need to concern myself with what my kids eat and how much exercise they get? Is it really so bad that they eat fast food? They get to be kids only once, after all! Let them live a little, right? Since when did a little fast food hurt anybody? What’s wrong with letting my kids play video games, play on the computer, and watch television after school? They work hard all day. Shouldn’t they be able to veg out in front of the TV to unwind? Everyone needs a little break. What’s the harm in having a little baby fat? They’ll eventually grow out of it. I mean, really, what’s the big deal? Prior to our health transformation, I used to be defensive when it came to our family’s health habits. So if you’re feeling the same way, I understand. Before we deal with some of these questions, let’s get some facts straight. Childhood obesity is an epidemic. It has almost tripled in the last 30 years. The 2008 “Facts for Families” report published by the American Academy of Child and Adolescent Psychiatry remarked that an estimated 17 percent of children and adolescents ages 2–19 years are obese. This unhealthy weight gain in our children stems from poor nutrition and inactivity. A child is considered obese when her weight is at least 10 percent higher than what is recommended for her height and body type. Studies have shown that an obese child between the ages of 10 and 13 has an 80 percent chance of becoming an obese adult. Though these facts are eye-opening and disturbing, the trend can be stopped. Childhood obesity is preventable if we work on changing to a healthy lifestyle. If an obese child has a greater chance of becoming an obese adult, you can see what a big deal it is for parents to model and implement healthy habits in the home as early as possible. Contrary to what many people believe, obesity and weight gain do not come solely from genetics or biology. Most of our unhealthy habits come from behaviors we learn in our culture and in our home. And sadly, many of these behaviors are harmful to our health—from the plethora of fast-food restaurants, to the indulgence of processed foods, to the inactivity caused by spending too much time watching TV or playing video games. Creating a healthy lifestyle in the home may be a challenge, especially if you have not maintained good nutrition or fitness goals for a long time, but it is doable and it is imperative if you want to raise a healthy family. Give me a break, Phil and Amy. I’m a busy parent. I can’t do everything perfectly. Nobody’s perfect! This might be your thought as you find yourself in the fast-food restaurant drive-thru for the fifth time this week. Sure, you’d rather be like Betty Crocker and put a hot meal on the table every night, but really, who does that anymore? Who has the time? So many of us justify our actions when it comes to our kids’ diet and exercise habits because we are simply overwhelmed with all of our other responsibilities. Most of us have more than enough to do during the day. We work full- or part-time, spend time with our kids doing homework, manage their after-school activities, clean our house, make time for our friends, meet our spouse’s needs, volunteer in the schools or community, go to church. And that’s just a few items in the long laundry list (oh, did I mention laundry?) most of us have. It’s much easier to go to the drive-thru after school for a quick meal or pick up a pizza after baseball practice than to sit home cooking. And I know how easy it is, when you do find an afternoon that’s free, to stick your kids in front of the TV or put a video controller in their hand while you take a nap or watch a movie instead of going to the park as a family. The thought of adding more things, like exercise and making your own snacks and meals, to our ever-growing to-do list is exhausting. Trust me, I know that feeling. I am no Harriet Nelson and my life definitely isn’t a TV Land show. As a mother of three boys, I am well aware of how stressful raising children can be. There never seems to be enough time to do everything you need to do. I have gone to bed many nights knowing I had so many things left undone and feeling guilty that I let my kids down (again). I have juggled all the balls that you have to juggle as a working mom raising a family, and I know that sometimes, you just have to let some of them drop. Some things are more important than others. We have to determine what our priorities are when it comes to raising our children. We need to determine the right balls to allow to fall to the ground. You may have to choose not to make the bed every day. You may have to turn off the TV for a long time. You may not be able to spend much time socializing on Facebook. You might see more loads of laundry lying around than you would like. The fact is, you can’t do it all without sacrificing some crucial lifestyle habits as a family. And because you picked up this book, you know that healthy lifestyle habits is something you need to work on. You can’t afford to sacrifice that any longer. The amount of attention and care you invest in shaping your children’s nutritional and fitness choices charts the course for the rest of their lives. It really is a big deal. We love our children and would do anything for them. If we knew we were harming them in some way—perhaps by being lax in monitoring their health habits—wouldn’t we want to stop and start doing the right things? I like what Jesus says about the nature of parents to give good things to their children: “If your children ask for a fish, do you give them a snake instead? Or if they ask for an egg, do you give them a scorpion? Of course not!” (Luke 11:11-12 nlt). The problem, however, is that our kids often ask for stuff that’s not good for them (like fast food). And we think we show them love when we give in and say yes. But then what happens? When we allow our kids to be in charge of our decision-making, they become the boss. They take over our job. They become the parent. Obviously, a family won’t function well when children are running the house! I know there are daily battles you fight with your kids. The trick is to pick your battles wisely. I want to challenge you to pick the battle of good health. This is a fight where you need to quit raising the white flag. You need to fight for the health of your children because this war really is a matter of life or death. From the time our children are born, we try to give them the very best we can. We buy the best baby food and take them to the doctor any time they have the tiniest sniffle. We move to homes in the best school districts and sign them up for activities that we hope will grow them in some way, whether athletically or intellectually. We focus on doing all these things and more so that they have the best shot at a good life. In this hustle and bustle, sometimes we forget that the foundation of success is good health. As parents, we have the power to ensure that our children do not fall prey to all the bad stuff that can result from being overweight and possibly even obese. These include conditions, illnesses, and diseases that can cripple them as they become adults. I want to talk about a few of them. According to the Mayo Clinic’s website, childhood obesity puts children on the path to diabetes, high blood pressure, and high cholesterol. These are health problems that only adults used to suffer from. If you don’t pay attention to your child’s health now, you are essentially creating a breeding ground for these health issues as they get older. Type 2 diabetes is an obesity-related illness that has drastically increased in children and teens. Diabetes is a condition in which a person has high blood sugar because the body can’t make enough or can’t properly use insulin. In order for your body to function optimally, your blood-sugar levels need to be in a particular target range. When the body isn’t producing enough insulin or the body isn’t processing it properly, this healthy range gets out of whack. It’s tough to detect type 2 diabetes in children because many symptoms may be mild or nonexistent. A blood test is required to properly diagnose this disease. According to the Centers for Disease Control and Prevention (CDC), children who have type 2 diabetes are generally between 10 and 19 years old, obese, and have a strong family history of type 2 diabetes. This surge of diabetes in children and teens is attributed to lifestyle choices that lead to poor health. These include eating foods high in fat and calories (such as fast food), eating too much sugar (such as soda and candy), eating larger portions, and not getting enough exercise. High blood pressure is another health condition that can result from being overweight. It affects only 3 percent of children and teens, according to the American Heart Association’s website. This may seem like a small number, but it has risen over the years and is attributed to a poor diet, excess weight, and an insufficient amount of physical activity. High blood pressure is a really big deal because if left untreated, it can lead to damage of the kidneys, brain, heart, and eyes. Blood pressure is the force of the blood pushing against the artery walls. When a person has high blood pressure, there is a higher than normal pressure inside the arteries, and the heart has a harder time pumping blood throughout the body. When the heart has to work harder than it needs to, it puts stress on your heart and makes it more difficult to get the necessary blood to your vital organs. High cholesterol is another health problem on the rise. High cholesterol is something we need to pay attention to because it can create a material called plaque that builds up on the walls of the arteries. Plaque can prohibit the blood from flowing through the arteries and can even cause a heart attack and stroke if left untreated. Three factors cause high cholesterol levels in children—heredity, diet, and obesity (notice the trend?). Most children with high cholesterol have a parent with high cholesterol. If this condition runs in your family, get your child diagnosed if you suspect they might suffer from the illness. It’s easy to find out if this is the case. Just ask your pediatrician for a simple blood test. It’s also fairly simple to treat high cholesterol. You have to put your child on a healthy diet (basically eating natural foods that are low in fat and good for you) and an exercise program. Medication might be in order for severe cases. Another side effect of childhood weight problems and obesity is low self-esteem and depression. Being overweight impacts not only a child’s physical body, it also impacts their emotional and mental states. Childhood should be a time free of anxiety. It shouldn’t be a time when your child is worried and depressed about his weight. If you were an overweight child, as I was, you know how painful that experience can be. There are many things we can’t control about our children, but one thing we can do something about is their weight. No one wants their child to be the last kid on the team picked to play kickball or an object of ridicule because of her size. No one wants their child to feel less-than or like a loser. Our middle son, Pearson, was about 20 pounds overweight when we came home from the ranch. He was always a little shy and self-conscious when it came to those extra pounds. He is the most sensitive of our three children, and it pained me to know how bad he felt about himself. As I saw him get healthier when he lost the weight, I also saw his self-esteem blossom. As a mother, this was such a rewarding thing to witness. There are several more reasons why we need to take the health of our children seriously. One main reason is that an overweight child is much more likely to be an overweight adult. One study found that approximately 80 percent of children who were overweight between the ages of 10–15 years were obese at age 25. Another study reports that 25 percent of obese adults were overweight as children, and that if unhealthy weight gain starts before the age of 8, then obesity in adulthood is likely to be more severe.2 The idea that “a little baby fat never hurt anyone” is not true. It can hurt your child for the rest of his or her life. Here’s something else to think about. Once your body creates a fat cell, it never gets rid of it. The fat cell can shrink as you lose weight, but it is always there available to be filled up. And fat cells generally are not created in a person’s body after puberty; the one exception is if an adult gains a considerable amount of weight. But for the most part, the number of fat cells a person has is determined in childhood. When kids become overweight, they create more fat cells than they would if they were at a healthy weight. Fat cells also have memory. Once they have been full, they want to be full again. This is why once someone has been overweight, it becomes much more difficult for him to stay slim later in life. This is why it is so vital that we help our children get and stay healthy. We don’t want them entering adulthood with the propensity to store fat, be obese, and be generally unhealthy. We don’t want to create a disadvantage for them so early on. Here’s another sobering fact. Childhood obesity more than doubles the risk of dying before age 55, according to a study published in the New England Journal of Medicine and conducted by Dr. William C. Knowler, chief of the Diabetes Epidemiology and Clinical Research Section of the National Institute of Diabetes and Digestive and Kidney Diseases. The list of the dangers of childhood obesity is ever-growing. Extra weight on your child’s body can cause lung problems, leading to ailments such as asthma. Sleep apnea (a condition where your child has abnormal breathing patterns while sleeping) can be a complication of childhood obesity. Being obese can create hormone imbalances for your child that can cause puberty to start earlier than expected. Extra weight can even affect the way your kid’s feet are formed. Did you know that flattened arches are often developed during childhood? An article in the June 21, 2010 edition of USA Today states that extra pounds can take a toll on feet, causing conditions such as flat feet, inflamed tendons, and sore feet. A spokesman for the American College of Foot and Ankle Surgeons said, “The foot was made to carry the average body, of maybe up to 200 pounds. When you add 100 or 200 pounds, it overloads the tendons, the ligaments, and the bones.” While your child may not be 100 pounds overweight, any excess weight puts undue pressure on their feet. Likewise, Dr. Wendy J. Pomerantz of Cincinnati Children’s Hospital Medical Center found obese children had more leg, ankle, and foot injuries than normal-weight children. When we say that obesity can affect you from the top of your head to the soles of your feet, we’re not kidding. Is My Child Part of This Problem? Is your child at risk of being overweight or even obese? How can you tell? Phillip and I like to evaluate healthy weight by using the Body Mass Index (BMI) chart. BMI is a number calculated from a person’s weight and height that is a reliable indicator of whether your child is overweight. It’s not foolproof, however, because it doesn’t take into consideration how much muscle a child has. Muscle weighs more than fat, and some kids naturally have more muscle than others. Also, the BMI chart can be a little skewed during periods of rapid growth. Still, it’s a generally solid guideline to use. The best way to get an accurate reading is to get a scale that measures body fat, weight, and hydration levels or make an appointment with your child’s doctor. If you decide to calculate your child’s BMI on your own, you first need to take some measurements. Measure your child’s height and write it down. Then weigh your child and write that number down. Compare these numbers with the chart on the previous page or insert them into the handy BMI calculator on the Centers for Disease Control website (http://apps.nccd.cdc.gov/dnpabmi/). If you find that your child falls in the overweight or obese range, don’t waste time beating yourself up about it or blaming your poor parental skills. The key is to realize that starting today, you can change this number. You can change the way your family eats. You can change the way your family exercises (or doesn’t at all). You can even change your child’s health if she is suffering from weight-related conditions. You can make a difference. Reading this book and working through the 90 challenges in Part 2 is a great first step. Make this a priority and read the challenges together as a family at the breakfast or dinner table, right before or after you help your children with their homework, or the first thing when they come home from school. Make these challenges a part of your routine to help your children understand that you are on their side and you want to help them be healthy. Don’t judge or make your kids feel bad if they are overweight. Support them and let them know this is something you can conquer together. When I was a little girl, my grandmother would make negative comments about my weight all the time. She meant well, but it made me feel as if she didn’t approve of (or even like) me. Your child needs to know that you love her and support her in every area, including her journey to become healthy. As you read this chapter, you may have noticed a continual theme. Like a drumbeat, the words healthy eating and exercise sound over and over. Many life-threatening conditions can be prevented by making changes in our diet and in our level of activity. Why do we not do it? I believe three culprits prevent us from making these changes—time management, energy, and motivation. We must take inventory of our time. You may think that you already have every single second scheduled to a tee and you have absolutely no extra time, but I bet you can adjust your schedule and incorporate small changes that will give you more time to spend on your health. You can cook food ahead of time so you always have a snack on hand to avoid the drive-thru window. Instead of throwing bags of chips or cookies in your children’s lunch box, pack a piece of fruit. Do homework with your child at the park, so after he or she is finished, you can run around and play together and squeeze in some physical activity. See what I mean? Making little changes in your routine can make a big difference. When you make time for exercise, you actually have more energy than when you are sedentary. I know this is true from personal experience. If I start my morning with exercise, I have tons of energy for the rest of my day. I turn into the Energizer Bunny. I just keep going and going and going. Finally, sometimes we don’t make changes because we don’t have the motivation to change. But what is more motivational than our children? Our kids should be the biggest motivators in creating a healthy lifestyle at home. I don’t know of anything that can move me more than when I know my child has a need. I like to think one thing most parents have in common is a desire to see their children live long, healthy lives. And I believe you, as a parent, will do anything to give them a foundation for a great quality of life. So make the commitment to make change. Let them be your motivation to eat better and start moving more. We will be with you every step of the way! How Healthy Are Your Kids? Let’s find out how healthy your kids are. The quiz below is a great starting point for you as a parent to know what kind of commitment you will need to make to get the change-ball rolling. Circle your answers and tally your score. 6 to 12 points—Green light! All systems are go. You are traveling in the right direction as a family. As you read this book you will continue to learn more about great health. 13 to 18 points—Yellow light! Caution. On the way to trouble ahead. You can find your way to the path toward great health by reading how you can create a healthy family environment. 18 to 24 points—Red alert! You need to get your family in the “Challenge” ASAP! Don’t worry. Today can be the first day of your family’s journey toward a life of good health. Whatever your score, in the following chapters we will equip you to make your family life not just happy but healthy. Whether it’s learning about the best foods to fuel your body or discovering creative ways of exercising as a family, the time to challenge yourself to be a healthy family is now. And the best place to start…is with you! Of course I want my children to be healthy. I try my best, but maybe it's not enough. This book really made me think about what I was doing and how I would have the thought - "one cupcake isn't going to hurt them." And really one probably won't...but if they get enough of them it could. I've never been in the mindset that you have to be skinny to be healthy and I still don't think that's true. I just want them (and me & my husband) to be healthy. This book is a great way to jump start learning how to be healthy.